A natural, refreshing, and healthy drink based on ancient monastic and herbal food recipes. This concentrate is very suitable as a replacement for hot drinks such as tea or coffee or as a thirst quenching cold summer drink. 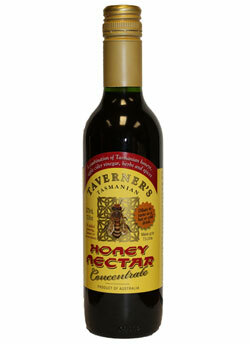 A combination of Tasmanian honeys, apple cider vinegar, and various herbs and spices has created a delicious drink which is suitable for young and old alike.